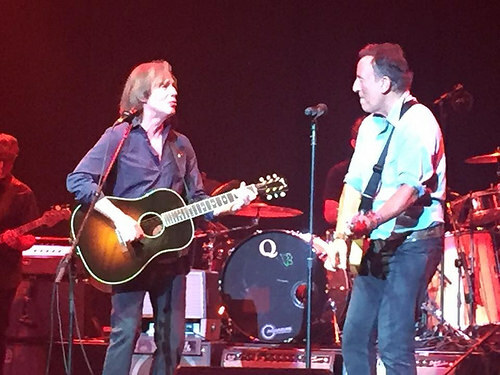 Twenty-four hours after inducting him into the Rock and Roll Hall Of Fame, Bruce joins Jackson Browne onstage. Bruce Springsteen played electric guitar during this song and sang back-up vocals. Played during a guest appearance at a Jackson Browne concert. Bruce Springsteen played electric guitar during this song and shared lead vocals with Browne. An acoustic "Take It Easy", with Soozie on violin, is played as a tribute to Glenn Frey, founding member of the Eagles who died on January 18, aged 67. Bruce attends the Laid Back Festival, where Little Steven & The Disciples of Soul and Jackson Browne perform. He joins Browne for "Take It Easy" and "Our Lady Of The Well". "Take It Easy" is a song written by Jackson Browne and Glenn Frey, and recorded by the Eagles with Frey singing lead vocals. It was the band's first single, released on May 1, 1972. 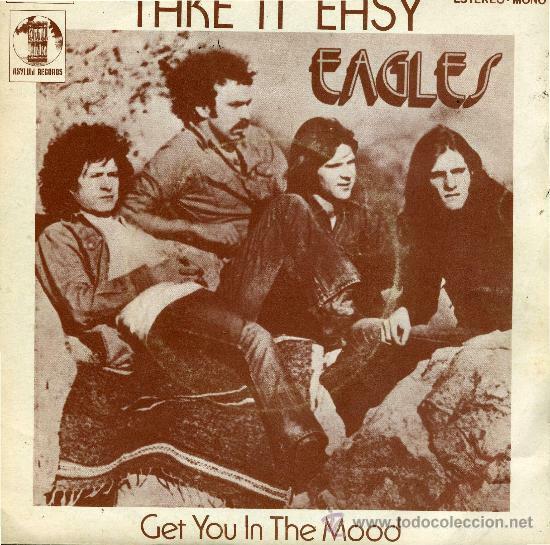 It also was the opening track on the band's debut album Eagles and it has become one of their signature songs, included on all of their live and compilation albums. Jackson Browne originally began writing "Take It Easy" in 1971 for his own eponymous debut album but was having difficulty finishing the song. His friend and then-neighbor Glenn Frey had heard an early version and later asked Browne about it. Jackson Browne later recorded the song as the lead track on his second album, For Everyman (1973), and released it as a single as well, although it did not chart. In their early live performances, the Eagles start with an a cappella version of a verse from "Silver Dagger" that begins with "My daddy is a handsome devil..." as an intro to "Take It Easy". Travis Tritt also covered the song for the 1993 Eagles' tribute album Common Thread: The Songs of the Eagles; the video for Tritt's version is notable for the appearance of all five members of the Eagles together the first time in 13 years after their break-up, and it led to the reunion of the band a few months later.